I was a big fan of Lahlum’s first book to be translated into English. The Human Flies is a crime novel set in the late sixties which provides an interesting takes on the locked room mystery. It’s on the shortlist for the 2015 Petrona Award and was one of my top five reads of last year. I was sent a copy of Lahlum’s second book Satellite People in January but I’d been saving it until we’d finished judging the Petrona. It was worth the wait. 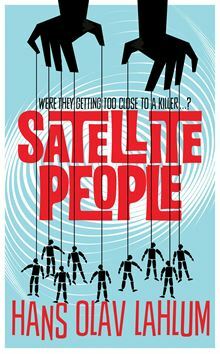 If anything, Satellite People is an even better book. It’s a perfect blend of classic crime motifs and modern narrative structure. In Oslo, in 1968, a wealthy businessman dies during a dinner party. He had only the day before contacted Inspector Kolbjorn Kristiansen claiming his life was in danger. Kristiansen, known as K2, takes charge of the case and discovers that only one of the ten dinner guests could have carried out the murder. But when other family members begin to die, K2 seeks the help of the brilliant Patricia who, from her wheelchair, guides the course of the investigation. Lahlum dedicates Satellite People to Agatha Christie, ‘the queen of classic crime’. It’s a nice touch, especially given the plot influences contained within the book. I won’t go into detail which of Christie’s novels or their plots are referenced here. Suffice to say that fans will see echoes of Cards on the Table, And Then There were None and Three Act Tragedy and plenty more besides. But while Christie’s devious narratives are mined, Lahlum provides a substance to his characters that are sometimes missing from the crime queen’s books. Kristiansen is once more portrayed as a diligent and enthusiastic detective with a strong sense of justice. His sexual attraction to a possible suspect gives him a more human dimension than in the previous novel. Patricia is the pivotal figure in solving the case and we see her developing from a brilliant child to a perceptive and driven woman. The effects of the Second World War are examined again in the book. As it is the late sixties, events are in the near past and provide plenty of possibilities for instances of secrets and betrayal. There are lots of twists and turns until we reach the conclusion and Lahlum, for one final time, uses a plot device from Christie for the denouement. Lahlum has delivered an excellent book and it is easily the best crime novel I’ve read this year so far. 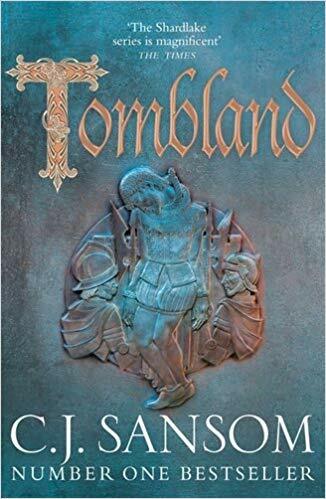 We’re being tempted by the news that the third book in the series is currently being translated by the excellent Kari Dickson. I can’t wait. Thanks to Pan Macmillan for my review copy. Now I’m already intrigued, Sarah! I’d heard a lot of good things about The Human Flies, and this one sounds terrific too. Clearly I am missing out by not having got to Lahlum’s work yet. Must remedy that. And thanks for the highlight! I know. I love the AC references too! Love Scand crime & esp locked room mysteries. Will look out for these books, hopefully it won’t take too long for my local bookseller to get them. Thanks Anne. It’s one of my favourite series at the moment. Definitely sounds intriguing, and the Christie references have made me very curious….